Often referred to as the gem of the Amalfi Coast, Positano remains one of southern Italy's most sought-after vacation locales, thanks to its hillside location and picturesque, pastel buildings. Step out of the city life by going to Otium Spa Costa d'Amalfi and Grotte di Suppraiano. For shopping fun, head to Ceramica D'Urso Vietri or Miniaci Art Gallery. You'll find plenty of places to visit near Positano: Liquorificio Mansi Carlo (in Minori), Sol’Art Ceramiche (in Vietri sul Mare) and Ravello (Cappella Sant'Angelo all'Ospedale & Belvedere Principessa di Piemonte). Next up on the itinerary: kick back and relax at Fornillo, stroll through Lido di Ravello, sample the fine beverages at Il Gusto della Costa, and take in panoramic vistas at Torre di Grado. To find ratings, other places to visit, where to stay, and more tourist information, refer to the Positano vacation maker . Rio de Janeiro, Brazil to Positano is an approximately 20-hour flight. The time zone difference when traveling from Rio de Janeiro to Positano is 4 hours. Plan for cooler temperatures traveling from Rio de Janeiro in February, with highs in Positano at 17°C and lows at 11°C. Cap off your sightseeing on the 5th (Tue) early enough to go by car to Rome. Take a break from the city and head to Passeggiata di Gianicolo and Catacombe di San Callisto. And it doesn't end there: contemplate the long history of Colosseum, admire the striking features of Pantheon, explore the world behind art at Galleria Borghese, and appreciate the extensive heritage of Piazza Navona. For ratings, where to stay, reviews, and more tourist information, go to the Rome online trip itinerary maker . You can drive from Positano to Rome in 3.5 hours. Other options are to do a combination of bus, subway, and train; or take a bus. Traveling from Positano in February, you can expect nighttime temperatures to be little chillier in Rome, with lows of 5°C. Finish your sightseeing early on the 10th (Sun) to allow enough time to travel to Venice. Give yourself a bit of retail therapy at Macia de Color and Atelier d'Arte La Colonna. There's much more to do: explore the activities along Canal Grande, wander the streets of Cannaregio, admire the landmark architecture of Doge's Palace, and snap pictures at Ponte di Rialto. To see reviews, maps, other places to visit, and tourist information, read Venice road trip planner . Traveling by flight from Rome to Venice takes 3.5 hours. Alternatively, you can take a train; or drive. Traveling from Rome in February, you will find days in Venice are slightly colder (11°C), and nights are about the same (3°C). Wrap up your sightseeing on the 14th (Thu) to allow time to travel to Cannes. Although its luxury shops, nightlife, casinos, and high-end restaurants give Cannes a feeling of exclusivity, this classic French Riviera city has alternatives to suit every budget. 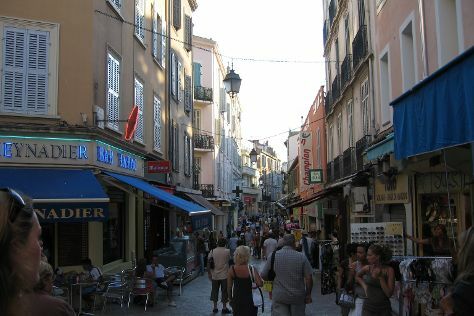 Head to Rue d'Antibes and La Croisettefor some retail therapy. Step out of the city life by going to Station de Ski L'Audibergue and Castel Plage. When in Cannes, make a side trip to see Spas & Wellness in Nice, approximately 50 minutes away. There's much more to do: pick up some local products at Marche Forville, look for gifts at L'Antre des Delices, shop like a local with Galerie de Cannes, and sample the tasty concoctions at Colgan's Brewery. To see traveler tips, other places to visit, ratings, and tourist information, read Cannes online travel planner . Traveling by combination of flight and train from Venice to Cannes takes 5 hours. Alternatively, you can drive; or do a combination of flight and train. When traveling from Venice in February, plan for somewhat warmer days and about the same nights in Cannes: temperatures range from 15°C by day to 3°C at night. Finish your sightseeing early on the 18th (Mon) to allow enough time to drive to Chamonix. "Situated near the massive peaks of the Aiguilles Rouges and, most notably, the Aiguille du Midi, Chamonix is one of the oldest ski resorts in France and known as the Alpine Capital of the World. On the 19th (Tue), fly like a bird with a parasailing or paragliding tour and then tour the pleasant surroundings at Aiguille du Midi. To see maps, traveler tips, other places to visit, and tourist information, refer to the Chamonix journey planning tool . Traveling by car from Cannes to Chamonix takes 5.5 hours. Alternatively, you can do a combination of train, flight, and shuttle; or do a combination of train, flight, and bus. Finish up your sightseeing early on the 19th (Tue) so you can go by car to Le Havre. Le Havre is a port city at the mouth of the Seine, on the English Channel in Upper Normandy. We've included these beaches for you: Plage Du Tilleul and Plages de Houlgate. Do your shopping at Gribouille and AtelieRoba. You'll find plenty of places to visit near Le Havre: Plage de Benerville sur Mer (in Benerville-sur-Mer), Distillerie Busnel (in Cormeilles) and Plage-Baignade Yport (in Yport). And it doesn't end there: kick back and relax at La Plage, relax in the rural setting at La chevrerie de Bliquetuit, tour the pleasant surroundings at Plage Des Bains, and learn about winemaking at Calvados Boulard. For ratings, other places to visit, reviews, and more tourist information, go to the Le Havre trip planner . Drive from Chamonix to Le Havre in 8 hours. Alternatively, you can do a combination of bus, flight, taxi, and train; or do a combination of shuttle, flight, and train. Expect a daytime high around 8°C in February, and nighttime lows around 3°C. Finish up your sightseeing early on the 23rd (Sat) so you can go by car to Paris. 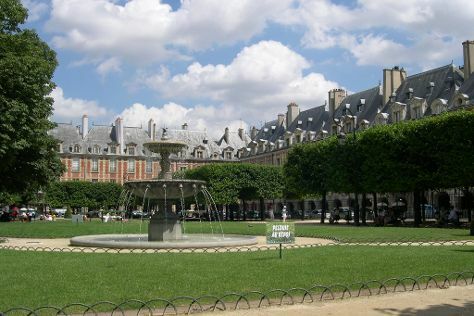 Head to Le Marais and Champs-Elyseesfor plenty of shopping. Get in touch with nature at Île de la Cité and Ile Saint-Louis. There's much more to do: steep yourself in history at Eiffel Tower, admire the striking features of Basilique du Sacre-Coeur de Montmartre, hunt for treasures at Marche de Saxe-Breteuil, and contemplate in the serene atmosphere at Saint Germain des Pres Quarter. To find more things to do, other places to visit, where to stay, and tourist information, refer to the Paris itinerary builder app . Traveling by car from Le Havre to Paris takes 2 hours. Alternatively, you can take a train; or take a bus. In February, daytime highs in Paris are 9°C, while nighttime lows are 1°C. Wrap up your sightseeing by early afternoon on the 28th (Thu) to allow time for travel back home.